Although Rider Levett Bucknall (RLB) can trace their history back 225 years, the landmark merger to create today’s global firm happened ten years ago. To celebrate this anniversary, RLB approached Wills to design and produce a tenth anniversary commemorative book profiling the firm and showcasing key projects. Previous global reviews had showcased key projects around the world. 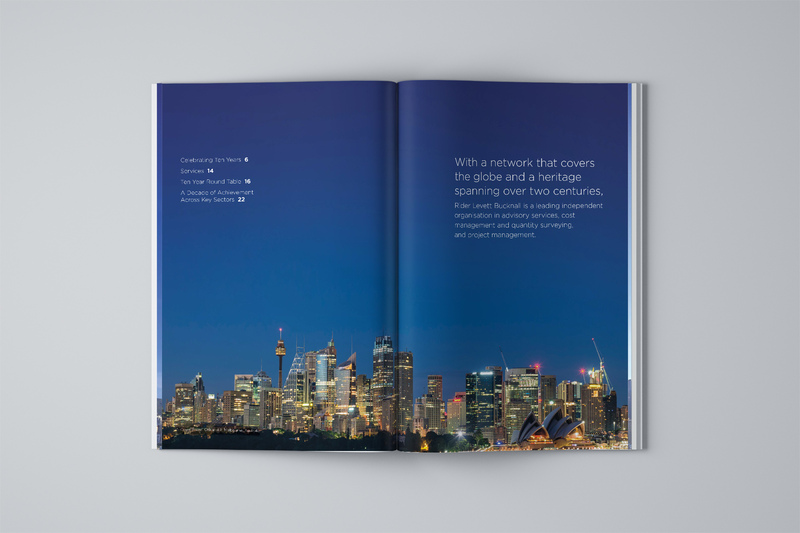 RLB wanted the Ten Year book to tell a deeper story: how the merger was achieved, the unifying of their people, and the strategic direction and beliefs that endure. In addition to the printed book, Wills was to produce associated marketing collateral including an online component, eDM, internal communications and a press release. 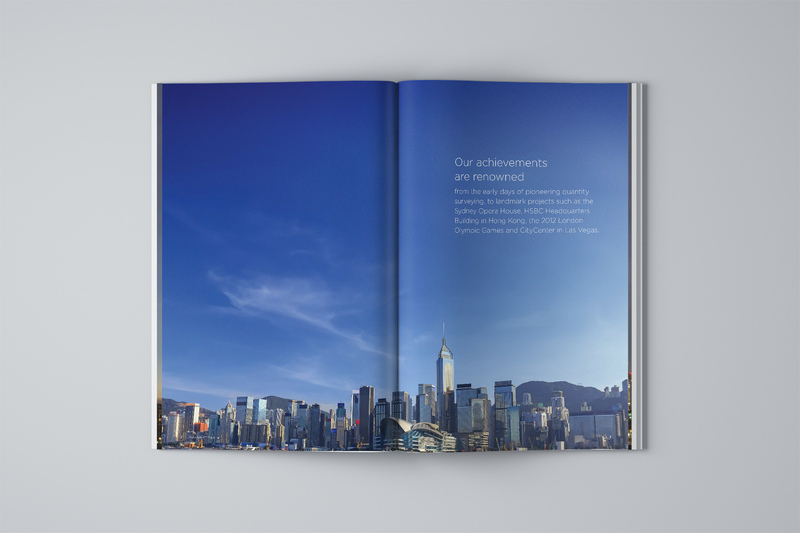 The Ten Year Book brought together stunning architectural photography, candid reportage photography of RLB people, client testimonials, and creative line illustrations. A Global Board ‘roundtable’ interview provided interesting insights into the strategic direction and personal journeys of the board members. The design was translated into a one-page animated microsite, to generate interest in the anniversary, with the ability to view an ePublication or download a PDF version of the book.